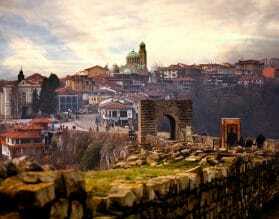 Silvia is our expert in travel to Bulgaria, and knows the country intimately after living there. Her knowledge of Bulgaria is invaluable when planning a trip to this region. 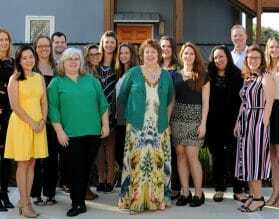 Silvia can maximize your time and plan the best methods of travel within the region. Hugely underrated, Bulgaria truly is one of Europe’s most undiscovered and authentic destinations. In existence for more than thirteen centuries and influenced by the Persians, Greeks, Romans, Turks and the Russians, Bulgaria is a genuine melting pot. With seven UNESCO sites, the country is bursting with culture. 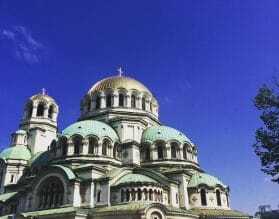 For anyone who wants to taste unspoiled Europe, combined with great food, welcoming people and rich history, Bulgaria is a must. Bulgaria has been inhabited since the dawn of human civilization. From the Cuman tribes of Central Asia to the Persians, the Thracians, the Romans, the Byzantines, the Ottomans, the Russians and Soviets, Bulgaria has a rich legacy of ancient cultures within its terrain. No wonder its capital is named Sofia – after the Greek Goddess of Wisdom. The Balkan and Rhodope Mountains give way to the Danube River plains and Black Sea coast, and throughout Bulgaria lie the vestiges of lost empires. 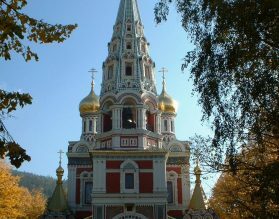 Orthodox church domes in Sofia, Roman amphitheaters in Plovdiv, Greek remains in Nessebar and Bulgar folklore in Veliko Tarnovo, give immense depth to its cultural wealth. Frescoes and religious art are prevalent in several areas, but Bulgaria’s folk music is one of its most developed and ancient traditions. Fire is held sacred and is used to ward off the evil spirit. While its cuisine is suited to the Mediterranean palate, Bulgaria is also known for its sweet wines, particularly Muscat. Peel back the layers of this ancient land with Exeter International. 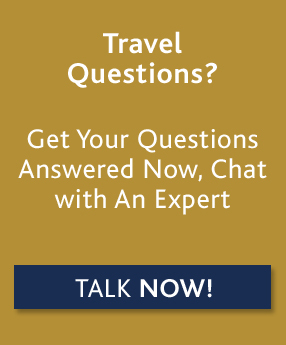 For custom luxury travel and tours to Bulgaria, please contact one of our travel experts, or read on below for more information about where to go and when, along with our Insider's Guide. Bulgaria has a continental climate. The best times to visit Bulgaria are either in the Spring – April and May, early summertime in June and September. July and August can become quite hot. Winters are harsh and snow is common. Bulgaria’s vibrant capital, Sofia, offers an exciting mixture of architectural styles that perfectly reflects the city’s multicultural past. Roman ruins, orthodox churches and Ottoman mosques stand in close proximity to each other for visitors to journey through time. Don’t miss the 10th century Boyana Church and its magnificent frescoes, a UNESCO listed site. 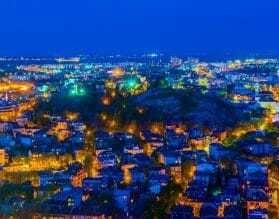 Plovdiv, the second-largest city in the country and one of the oldest on the continent, will be the European Capital of Culture in 2019. With the Roman Theater and Stadium, Archaeological Complex Nebet Tepe and architecturally diverse Old Town, Plovdiv is a history buff’s paradise. Veliko Tarnovo, former capital of the Bulgarian Kingdom, is surrounded by green hills and dotted by traditional red roofed homes. The highlight of every visit is the impressive and superbly restored Tsarevets Fortress. If you are visiting Bulgaria from a cruise ship, explore the port of Burgas and don’t miss a trip to the nearby Nessebar, an ancient town on a picturesque peninsula filled with museums and churches. Our team of travel experts can customize a unique program for you for travel in Bulgaria based on your exact preferences and interests. For travelers with an interest in ancient history Bulgaria is a destination that combines well with Macedonia and Albania. 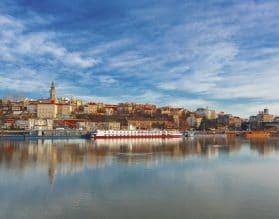 Alternatively Vienna and Prague, both just a short flight from Sofia, offer travellers world-class hotels only steps away from the historic sites, museums and galleries that have made these cities famous.